From Miami Spa Month to Miami Spice, exclusive culinary, spiritual, entertainment and hotel offers, Faena Miami Beach is the place to be this summer. For your convenience, I’ve rounded up all of the hotel’s upcoming promotions that will keep you entertained and cool under one roof during the hottest month of the year! Tierra Santa invites to its series of meditations that will guide your breath and focus your mind to clear the way for new experiences. On August 7, with the powerful energy of the full moon, guests will explore their individual energy fields and harness its strength through a series of visualizations and intimate meditation. Then August 27 welcomes a morning meditation on the special alignment of the planets allowing all beings to connect to the universe in a larger way including corals who awaken and harness their power of creation and reproduction at this special time. $30 per person. RSVP required to spamiami@faena.com. For more information, please email spamiami@faena.com or call +1 786 655 5570. Experience the profound impact of “family constellations” at Tierra Santa Healing House as our certified leaders guide you through this transformative process to convert individual constellations into profound emotional enlightenment. Developed by renowned psychotherapist Bert Hellinger, the concept of family constellations invites us to explore the unresolved experiences of family members before us—as far back as three generations or more—and their effect on our own spiritual lives in real-time, and through this workshop can grant release of these past experiences. Certified leader Eric Lopez will guide these transformative workshops focusing on each individual’s hereditary constellations and the ways in which one can channel these experiences to find inner-peace. $55 per person. RSVP required. Rates are subject to change without advanced notice. For more information and reservations, please email spamiami@faena.com or call +1 786 655 5570. Tierra Santa Healing House invites all to experience its South American-inspired treatments and exclusive amenities with special prices just for Miami Spa Month throughout July and August. Revered as the “Oil of Life” in South America, coconut oil is highly praised for its curative and regenerating properties. Tierra Santa’s Masaje de Coco treatment is a deeply nourishing and relaxing massage using virgin coconut oil. Tierra Santa’s expert estheticians tailor this natural and organic facial to promote the absorption of active ingredients based on the individual properties of your skin type. This Hyper-Customized Facial treatment moisturizes, soothes and oxygenates the skin using an advanced collection of products and techniques. Purify the mind and body at Tierra Santa Healing House with hand-blended, plant-based ingredients inspired by South American shamanic treatments. 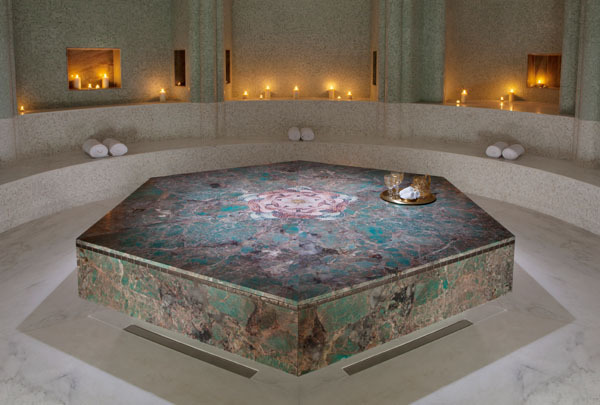 The experience begins at the Wet Spa, where guests will enjoy the Tierra Santa Bathing Ritual, choosing from an array of purifying scrubs, healing clays, nourishing oils and butters for a truly unique beginning of the journey. Then, enjoy the Tierra Santa Deep Tissue massage, a chakra-balancing treatment using warm babassu butter from the Brazilian palm tree, an organic product known for its ability to alleviate aches and pains. Applied by the spa’s expert therapists with deep pressure to specific trigger points, this 80-minute massage is excellent for guests with deep-seated tension. Offering more than just your average manicure and pedicure, Tierra Santa’s in-house nail studio serves up the latest trends in seasonal colors, nail art and hand treatments. Enjoy the spa’s special Tierra Santa Mani-Pedi with deep moisturizing for an afternoon of total relaxation. Miami Spa Month offers are available Sunday through Friday. Prices exclusive of tax and service charges. For more information and reservations, please email spamiami@faena.com or call +1 786 655 5570. A major social event in Argentina, the asado (an open-fire barbecue) marks a time when friends and family gather around traditional dishes and spend an afternoon catching up. Our Sunday family-style asado features a variety of dishes typically served among families on weekends. Adults $75 / Children $35 / Endless Mimosas & Bloody Marys: $25. Prices are per person and exclusive of tax and service charge. For reservations, visit http://www.opentable.com/veranda-faena-hotel-miami-beach or call +1 786 655 5600 to book. Taste the culinary genius of world-renowned chef Francis Mallmann with specially priced Miami Spice menus at Faena Miami Beach. Throughout the months of August and September, Los Fuegos by Francis Mallmann invites guests to choose from an impressive four-course lunch and dinner menu featuring traditional Argentine dishes like Wood Oven Empanadas and tender “Carrillera” cooked over live fire in true Francis Mallmann fashion. Menus priced at $23 for lunch and $39 for dinner, per person, exclusive of tax and service charges. For reservations, visit https://www.opentable.com/veranda-faena-hotel-miami-beach or call +1 786 655 5600 to book. There is no place to enjoy the sunny days and starry nights of Miami Beach like Sundown Social Hour. Happening every Monday, Tuesday and Wednesday evening from 6:30-8:30 pm, this evening soiree offers specially priced cocktails, beer and wine along with a selection of delectable small bites on Pao’s oceanfront terrace. Inspired by Paul Qui’s popular East Side King Food Truck based in Austin, Texas, Sundown Social Hour will offer globally influenced Japanese food, featuring a combination of cold dishes and innovative made-to-order items crafted by Pao’s kitchen. Guests will also enjoy eclectic DJ performances every evening, along with live musical acts every third Tuesday of the month to keep them grooving well into the night. For more information, call +1 786 655 5600. Experience renowned chef Paul Qui’s unique brand of modern Asian cuisine with a specially-priced, four-course Miami Spice menu at Pao by Paul Qui. Throughout the month of August, guests can enjoy a selection of Chef Qui’s signature dishes like fresh Kinilaw, Pork Adobo and his famous East Side King Fried Chicken before ending the evening with a refreshing Peach-Cru Sorbet or decadent Chocolate Ice Cream Rock. Price per person is $39, exclusive of tax and service charges. For reservations, visit https://www.opentable.com/pao-by-paul-qui-faena-hotel-miami-beach or call +1 786 655 5600 to book. 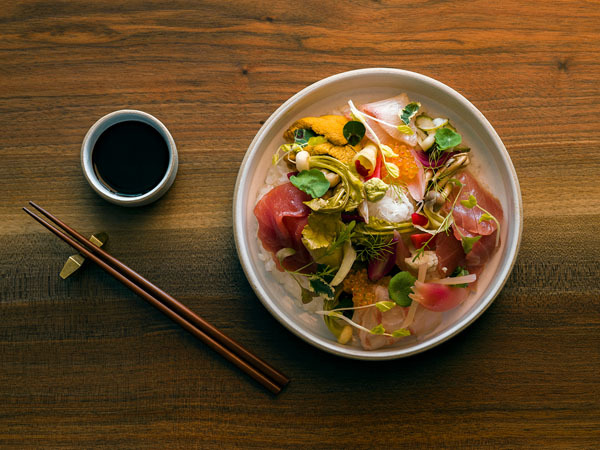 When the August heat becomes too much to bear, escape to Pao by Paul Qui for an Art of Crudo Class with James Beard Foundation award-winning chef Paul Qui. Cool off with freshly muddled cocktails while the celebrated chef walks you through ingredient preparations and cooking techniques like slicing, marinating and curing before preparing the perfect crudo dishes from around the world, including ceviche, sashimi, carpaccio and more. Following class, guests will indulge in the fruits of their labor and enjoy their carefully crafted creations for lunch alongside fellow foodies to complete a day of epicurean delight. $125 per person, plus tax and service charges. For reservations, visit https://paofaenamiami.tocktix.com/ or call +1 786 655 5600 to book. In Japan, there is a culinary tradition of ordering omakase, a word that translates to respectfully leaving another to decide what is best, or in gastronomy terms, a chef’s selection. Diners can expect an innovative and surprising variety of dishes that showcase the chef’s creative expression. On August 23, Chef Qui’s Omakase dinner will offer a sybaritic adventure of Japanese-inspired sushi dishes that draw on his impressive capacity for pairing unusual flavors with the skill of a real artist. His omakase multi-course feast is an experience that offers the best of his signature small plates paired with spontaneous sushi creations. The evening is designed to bring together food lover to commune at one large table, sharing an unforgettable meal where each course is more intriguing than the next. $125 per person, exclusive of tax and service charges. Seating is limited. For tickets, visit https://paofaenamiami.tocktix.com/ or call +1 786 655 5600 to book. 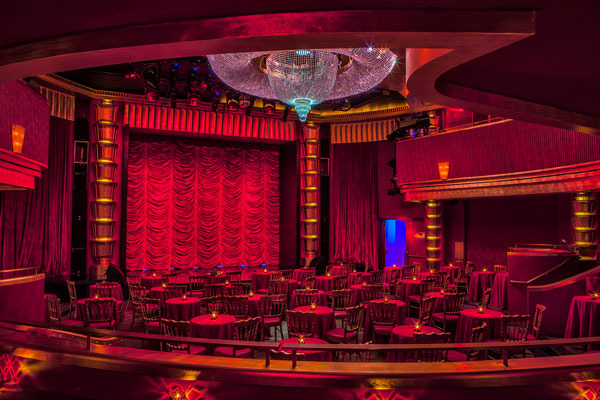 Channel your inner rockstar at Faena Theater with Rock the Mic, an unconventional karaoke experience in which guests take center stage while live band Higher Ground supports your pitch-perfect belts and croons along the way. Following your on-stage debut, relive your five minutes of fame with a full-length video of your performance, shot from four different camera angles and edited on the spot to share (and brag about) within minutes. Free & open to the public. RSVP to party@faena.com to choose your song and reserve your spot. For more information, visit www.faena.com or call +1 786 655 5600. South Florida native Monique Marvez takes you down a crazy-funny trip down Miami memory lane. Self professed “Muttina”, she’s part Cuban, Venezuelan and Puerto Rican making for all-American hilarity. Tickets begin at $30 and are available at www.ticketmaster.com. For more information, visit www.faena.com or call +1 786 655 5600. Winner of the 2015 Thelonious Monk International Vocal Jazz Competition, Jazzmeia Horn is a powerhouse jazz artist commanding the stage at every international performance from acts at the renowned Apollo Theater to the historic Lenox Lounge. Showcasing her rapturing vocals and unmatched talent, Jazzmeia Horn ensures audiences embrace a new appreciation and celebration of the age-old art genre of jazz. Tickets being at $30 and are available at www.ticketmaster.com or call +1 786 655 5600. Legendary percussionist Sammy Figueroa and his band, The Latin Jazz Explosion, will perform an intimate concert at Faena Theater on August 31st, playing a versatile selection of spirited percussionist tracks including songs from solo and celebrated group albums like Grammy-nominated “And Sammy Walked In,” “Road Shows Vol. 2,” and “Urban Nature.” Having played alongside some of music’s greatest stars, including David Bowie, Mariah Carey, Quincy Jones and more, Sammy Figueroa remains one of the great percussionists whose talent spans genres and generations to present a rich trove of Latin, Brazilian and Venezuelan jazz virtuoso flair. Tickets being at $30 and are available at www.ticketmaster.com or call +1 786 655 5600. August 1, 7pm: Prizzi’s Honor (USA, 1985, John Huston – born August 5, 1906), 76 minutes. August 8, 7pm: The Man Who Fell to Earth (UK, 1976, Nicolas Roeg – born August 15, 1928), 139 minutes. August 22, 7pm: Rosemary’s Baby (USA, 1968, Roman Polanski – born August 18, 1933), 137 minutes. August 29, 7pm: Soul Kitchen (Germany, 2009, Fatih Akin – born August 25, 1973), 99 minutes. You’ll arrive and never want to leave Faena Hotel Miami Beach as you enjoy special rates with daily American breakfast, special spa treatment pricing with access to the Wet Spa area, and complimentary valet parking. Offer based upon availability and conditions apply. For reservations, call 305 535 4697 or e-mail at reservations-miamibeach@faena.com. This summer, take your family to a place like no other. Ideally situated on the oceanfront, Faena Miami Beach offers an array of activities and amenities perfect for families of all ages. 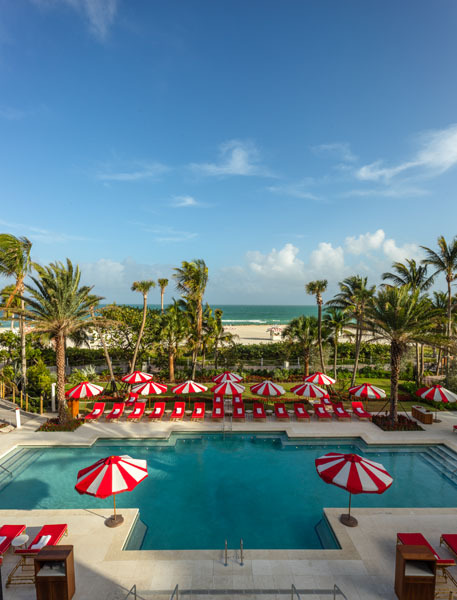 Spend an extra day at the beach at Faena Hotel Miami Beach with a complimentary fourth night when you book a three-night stay or longer. Offer is based upon availability and blackout dates apply. For reservations, call +1 844 733 4190 or email reservations-miamibeach@faena.com. South American fare meets American cuisine in Casa Faena’s charming café with (Not Your) Basic Beach Brunch. Available every Sunday from 11:00 am – 3:00 pm, this a la carte brunch offers traditional South American dishes like Wagyu Beef Empanadas and Churrasco with classic American cuisine, including Lobster Benedict Eggs and Pork Belly and Grits. Sip on specialty cachaça cockails or opt for bottomless Bellinis and mimosas while live musical performances by Bossa Nova-inspired artists set the tone for this weekly dining experience in the café’s inviting bistro-style atmosphere and tropical outdoor veranda. For booking and more information, call +1 305 604 8485, ext. 509. Once you arrive, you’ll never want to leave Casa Faena as you enjoy exclusive rates with daily American breakfast, special spa treatment pricing at Tierra Santa Healing House with access to the Wet Spa area, and complimentary valet parking. Subject to availability and blackout dates. Terms and conditions apply.